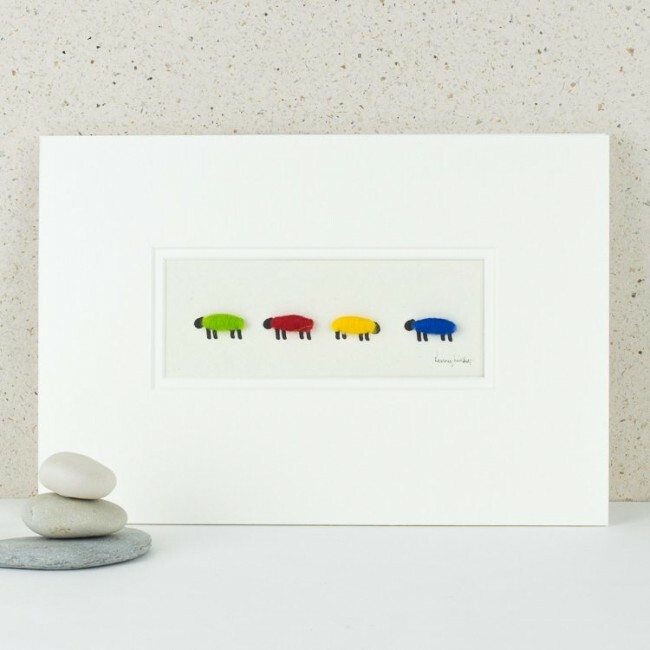 How much fun is our bright woolly sheep print with 4 fluffy colourful sheep! 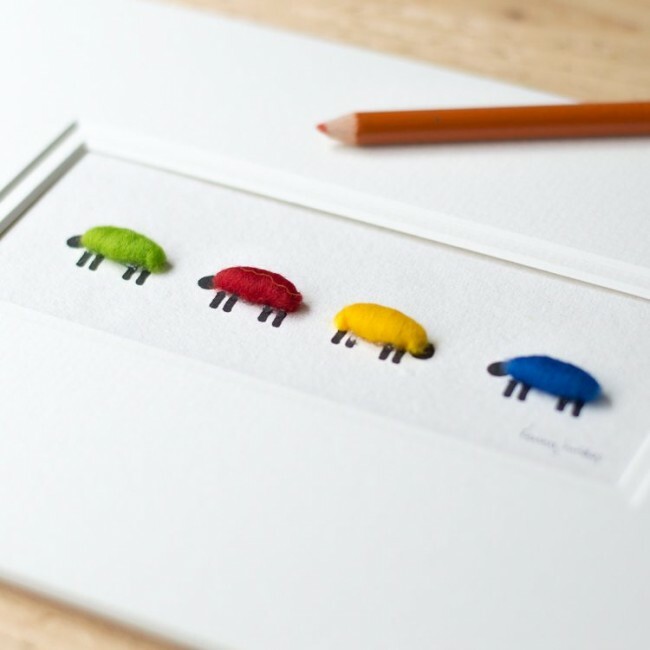 This very quirky simple design is a perfect gift for a fun loving, sheep loving person. 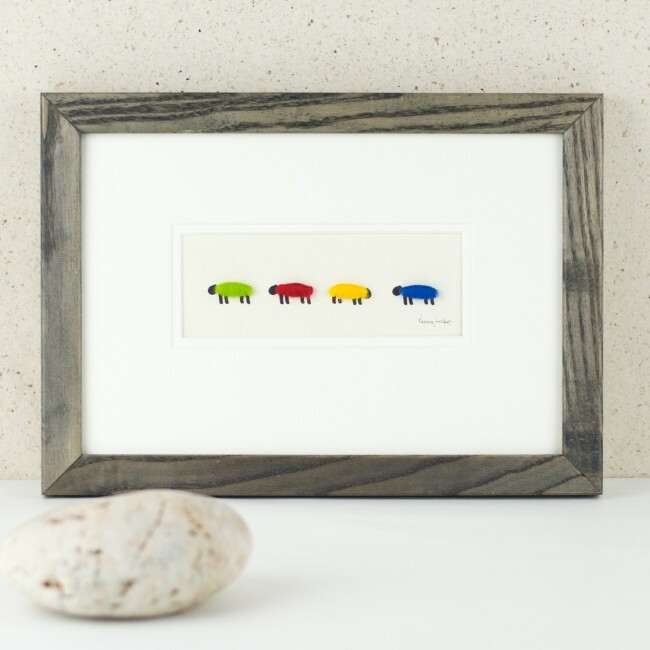 It is also a charming gift for a new baby whose nursery is decorated with bright primary colours. We hand finish the sheep with real sheep’s wool. The picture is simple and fun and we hope it will make you smile. Our team in the studio mount the picture in a conservation quality double mount; we’re all about simplicity combined with quality here. 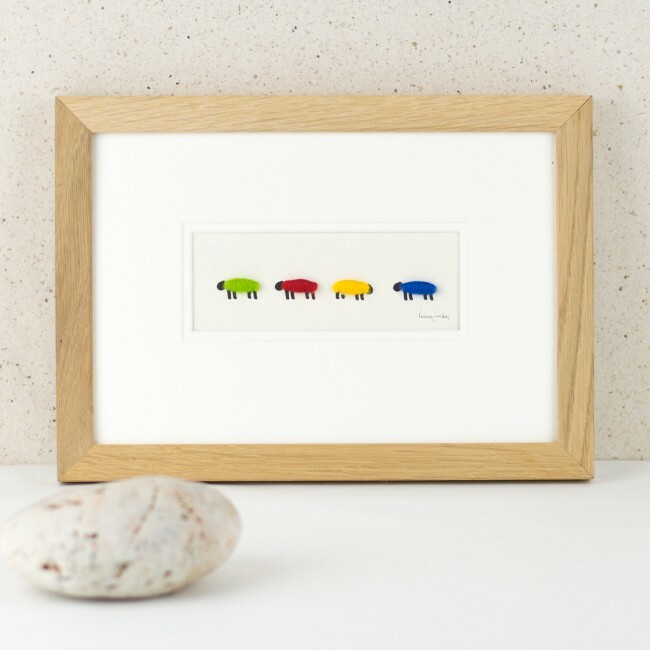 We offer you the option to have it framed, either in natural oak or a grey stained ash. We are happy to personalise the print too. A simple one line can be hand written in pencil beneath the image. Please, nothing long and complicated because there simply isn’t the space in our letterbox style mount. The mounted picture is a standard A4 size and therefore easy to find a frame. However, if you'd like us to complete your gift, we are happy to frame it for you, to a high professional standard. We offer either a natural oak or a grey stained ash moulding.